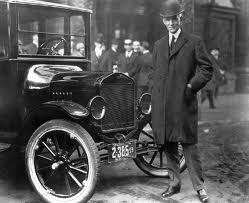 (Community Matters) I’m always citing the fact that while Henry Ford was not a nice man (anti-Semitic & racist) he seized the enlightened self interest of growing America’s middle class – stumbled upon this NYTimes column. The context of these citations today (vs previously with my UT business students) is in the debate about increasing marginal tax rates. A thriving middle class will actually lift all ships.